The apartment Balconies of Pralong B4 is situated in the residence Pralong, in the district of Nogentil, on the heights of Courchevel 1850. 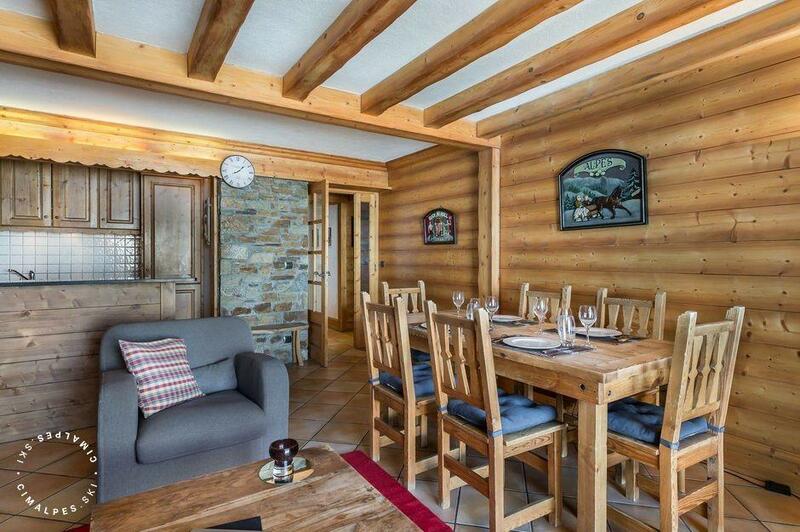 From the residence, you have direct access to the Pralong ski slope what allows you an easy departure and return with ski. 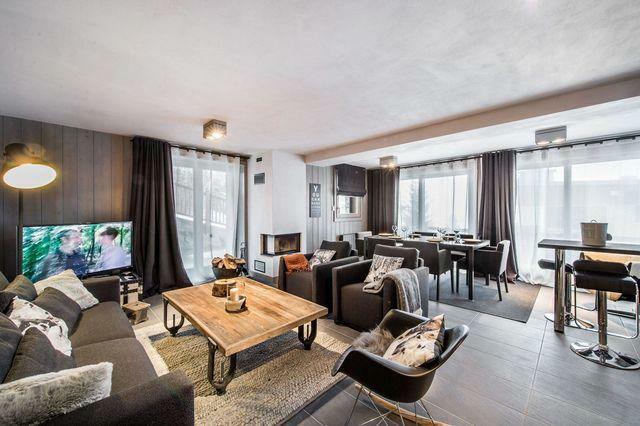 This very big apartment of 110m ² has three rooms with bathroom in each of them, a beautiful living space bright and provided with a big terrace exposed due south with a view of mountains and ski runs of the 3 valleys. Thanks to the all the kitchen equipment and the opened kitchen on the corner of the living room you can take advantage completely of the magnificent view which offers to us the big plate glass windows of the lounge. Cozy and warm, you will have a wonderful stay in this apartment with your family or with your friends. Living area : Nice and bright living room with a large South-facing terrace with views and direct access to the ski slopes.